Hello to all of our beautifully modified brothers and sisters and to all of you who are curious about becoming so. Welcome and thank you for stopping by our little corner of the web. My name is Craig Unglesbee and you I am the owner of CraigPokesU. 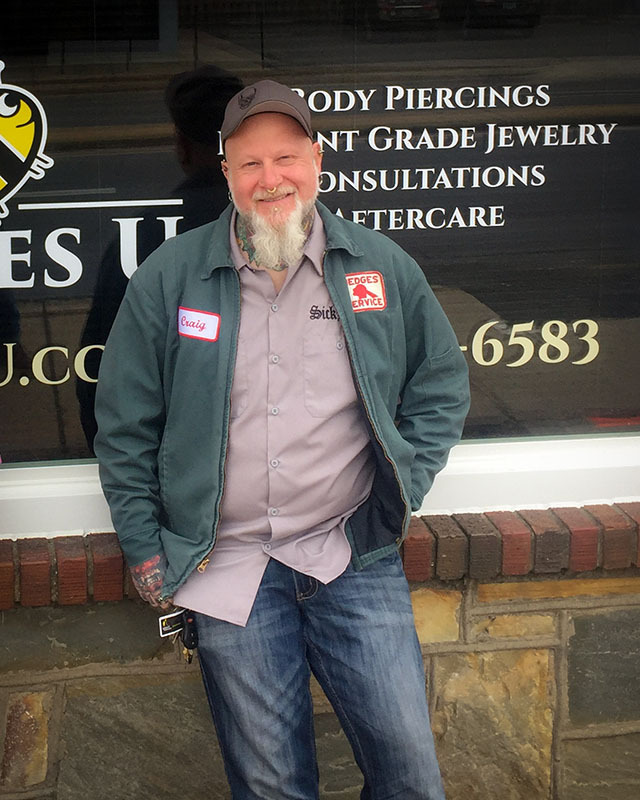 I am a licensed professional body piercer in the state of Virginia. Our mission is about much more than poking holes although we do so love to do that. Our goal is for everyone we pierce to walk away feeling renewed as well as allowing them to express the beauty they possess inside on the outside for the entire world to see and appreciate. Piercing is what we do as well as who we are . We never felt complete or comfortable in our own skin until we began to modify our bodies. This allows us to understand your desire to expand your horizons and reach your own personal truths. We always make payment considerations for those who want to step outside the box and do something that expresses themselves in a more extreme fashion. That’s why we do this and it’s what we love most. We treat each customer as a friend first and an income last. We want you to feel free to ask any and all questions you have and feel completely sure in your personal modification decisions. We will walk you through every step of the process. We don’t want to pierce a customer once. We want to pierce a friend for life. All that being said, stop by the studio and say hello and let’s talk about your first or next modification!! !